Oh it’s almost officially fall-my favorite time of the year! It has been rainy and colder this weekend here in Pittsburgh and I was tempted to make something with pumpkin! 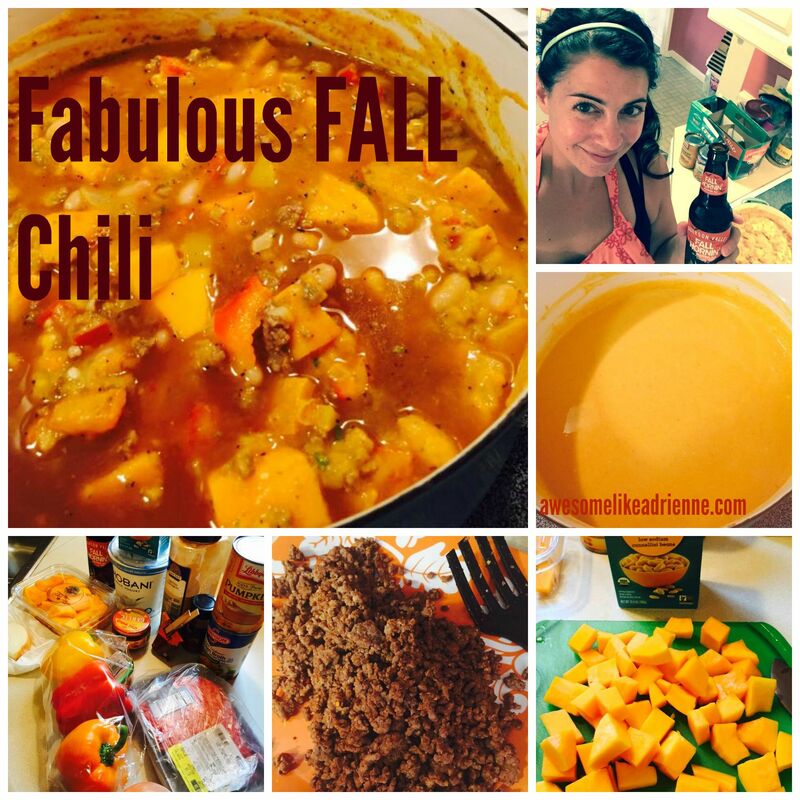 I made this chili with lots of good for you ingredients and there are no tomatoes in this chili! Seasonings: Blk pepper, pre-made chili seasoning, cumin, parsley, cayenne, cinnamon, nutmeg, really you can use whatever you want to season your chili with. I used all spice, nutmeg, cinnamon and cayenne to compliment the pumpkin. Brown meat then drain and place aside. Chop onion, peppers and garlic and place in the same skillet that you browned the meat in and cook on medium for 15 to 20 min. 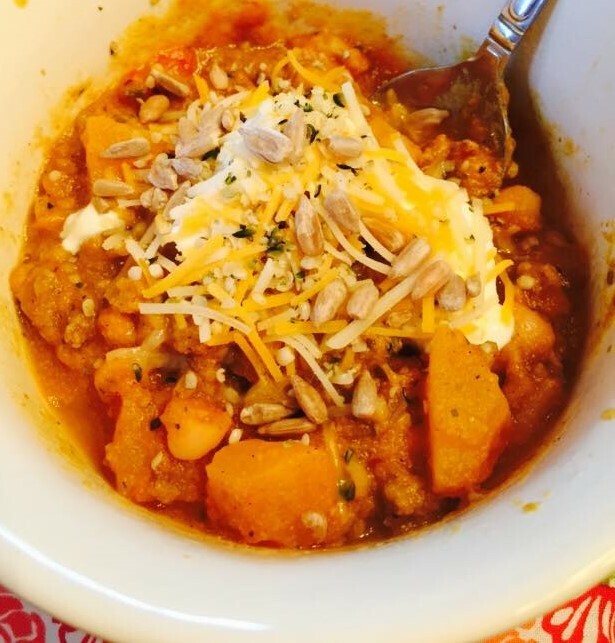 At the same time add the pumpkin, chicken broth and Greek yogurt to a pot or dutch oven and whisk together on medium. Once the veggies are cooked add them to the pumpkin mixture along with the meat, beans and chopped butternut squash. Now everything is in one pot. Pour the 8oz of beer in and let this simmer for 45 min on low/medium heat semi covered with the lid. I added the seasonings a few different times along the way….to the meat, to the pumpkin mixture and then once again when it was all together in one pot. I garnished with sour cream, shredded cheddar, hemp seeds and sunflower seeds. This should make 6 hearty servings! This will fill you up with goodness and I hope you enjoy it!